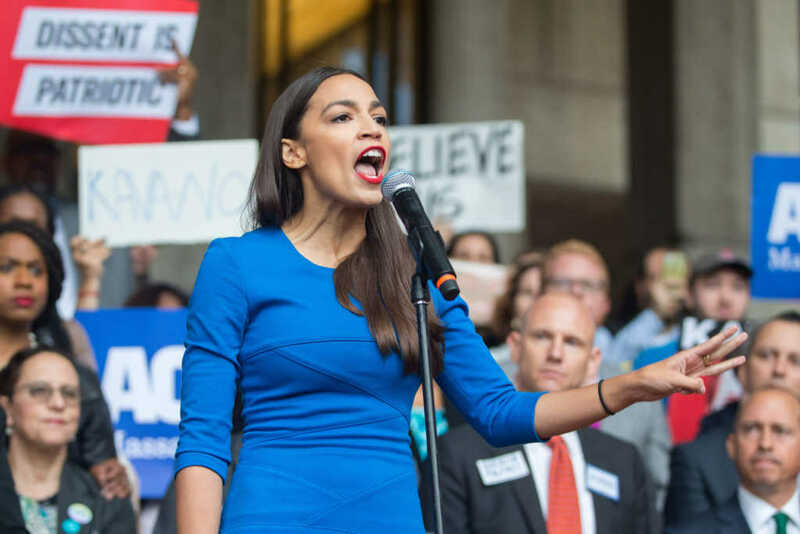 Newly elected Rep. Alexandria Ocasio-Cortez (D-N.Y.), a self-described Democratic Socialist, turned to Scripture Wednesday in a tweet targeting the White House’s response — or lack thereof — to climate change issues. In the post, Ocasio-Cortez referenced two passages from Genesis and one from the Old Testament book of Leviticus. Earlier this week, the outspoken politician erroneously referred to addressing the perceived dangers of climate change as “our World War II,” apparently forgetting we’ve already endured a second World War — the deadliest military conflict in world history — as well as the vast chasm between fighting climate change and confronting the evils of communism and Nazism. Ocasio-Cortez said in October that, assuming Democrats retake control of the White House in 2020, they should “pack the Supreme Court of the United States of America” with left-leaning jurists to guard against the “insane” people on the right. While Ocasio-Cortez is right to suggest God gave us dominion over the earth — he did — she seems to be leaving out quite a bit. So it’s a little difficult to take her moral claims too seriously.